Say it isn’t so and that I’m simply dreaming. Although there have been rumors that the Twilight Zone themed Tower of Terror in California Adventure would undergo a re-theming, many of us die-hard fans of the attraction were hoping that it was simply not true. But, alas, it is. 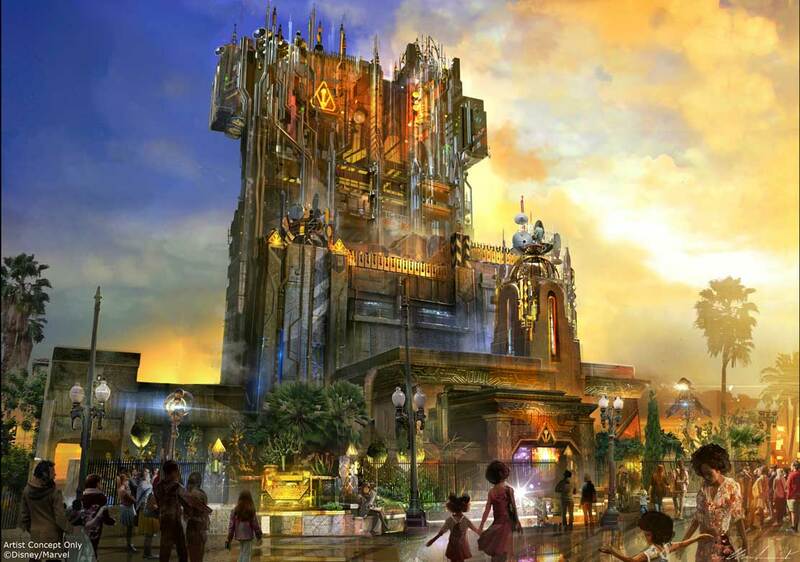 And in fact, the attraction will be completely re-themed to a Guardians of the Galaxy story-line. I get that Disney has to work to incorporate it acquisitions of The Muppets, Marvel and one of the latest, Lucas Films (Star Wars) into its theme parks. But to change what has become a classic attraction to incorporate Marvel super heroes? I’m not so sure I’m on board. Of course, that doesn’t really matter because they will do it anyway. And with today’s youth much more familiar with Guardians of the Galaxy than Twilight Zone, it will probably be a huge hit. I’m just thinking that it might be much better to create a new theme park that focuses on Marvel… maybe even incorporate Star Wars, but leave the Disney parks “Disney themed!” A theme park focusing on Marvel and even Star Wars could much better compete with the likes of Universal Studios theme parks, at least in my opinion. Even the location of the new Star Wars land in Disneyland has me baffled. Why not make Tomorrowland, a land that has always been hard to keep up to date, the location of the new Star Wars land? It would be perfect and the land could finally have stability. But I digress as that is the subject of an entirely different article. Back to the soon-to-be-old Tower of Terror transformation. The official announcement was made recently at San Diego Comic-Con by Kevin Feige, President of Marvel Studios, who said: “The incredibly talented Disney Imagineering team has found a way to harness the spirit which drove Guardians of the Galaxy’s success to create this immersive experience. With its debut timed to the release of the film’s sequel, we are eager to present the attraction to the millions who visit Disney California Adventure and place them in the center of the action as they join in a mission alongside our audacious Guardians of the Galaxy team.” Joe Rohde, Portfolio Creative Director, Walt Disney Imagineering, is leading the project and has shared a preview of the new attraction in the video below. Fans of The Tower of Terror will want to experience the attraction from now until its final “drop day,” which will be celebrated in true Disney fashion in early January 2017. So, what do you think – good idea, bad idea or simply no other way around it? I would love to hear your feedback in comments below of on social media. I have never been a big fan of Tower of Terror. While it is a good thrill ride, it doesn’t build on the Twilight Zone theme very well. Guardians of the Galaxy fits reasonably well as the ride is in the Movie themed section of California Adventure. It sounds as if they are going to expand the ground level portion of the ride. Star Wars land is a bigger mistake. It seems to have been force fit into Disneyland. It should have either been attached or replaced Tomorrowland. The current location doesn’t make sense. It could have been an extension off of the Hollywood portion of California Adventure. In Disney World, Star Tours is in the Disney-MGM Studios Park in Disney World.